In 1971, the American science historian Loren Graham was in Moscow investigating his specialty, the history of science in Russia. One day he went to have lunch at the palatial dining room of the Russian Academy of Sciences while ruminating on his frustration at not having been received by a key figure of Stalinist science, a figure to whom he had devoted years of study: Trofim Lysenko. Suddenly he saw him. Lysenko was sitting there, alone, at a table in the back of the dining room. Graham sat down next to him, ordered his lunch, and began to eat in silence, until at last he dared to introduce himself. Lysenko knew Graham’s name and his work, but he accused him of having made serious mistakes about him. “You are mistaken in your understanding of me,” he told him, as Graham relates in his book Lysenko’s Ghost: Epigenetics and Russia (Harvard University Press, 2016). “You think I am part of the Soviet oppressive system. But I have always been an outsider.” Lysenko was quick to deny the darkest accusation levelled against him—his responsibility for the deaths of thousands of Russian biologists. Who was that mysterious person from the dark past who in 1971 was dining in solitude? Graham himself confesses to OpenMind that he feels unable to define Lysenko in a few words. “I would not have spent years doing research on him if I thought I could,” he says. Trofim Denisovich Lysenko (29 September 1898 – 20 November 1976) prided himself on his humble and peasant origin. Born in Ukraine, he began his research on a subject that attracted him because of a family tradition, but which also interested the immense and hungry Soviet Union—how to obtain crops adapted to the harsh Russian winters. At that time, agrobiologists were guided by natural selection defined by Charles Darwin and the laws of heredity enunciated by Gregor Mendel to try to understand the influence of genetics and environment on the relationship between genotype and phenotype. These studies had a practical final objective—to obtain agricultural varieties that permitted the harvests to increase throughout the year. Young Lysenko looked like a promising scientist. In 1928 he published a major impact study on vernalization, a term he coined to describe a process that turned winter wheat into spring wheat. Since antiquity, farmers have known the distinction between both—while the latter can be planted directly in the spring, the former needs a moderately cold winter to stimulate its growth. The vernalization practiced by Lysenko consisted of a treatment of cold and humidity applied to the winter seeds that allowed them to be planted in the spring, facilitating the obtaining of harvests if a too-icy winter obliterated the crops. 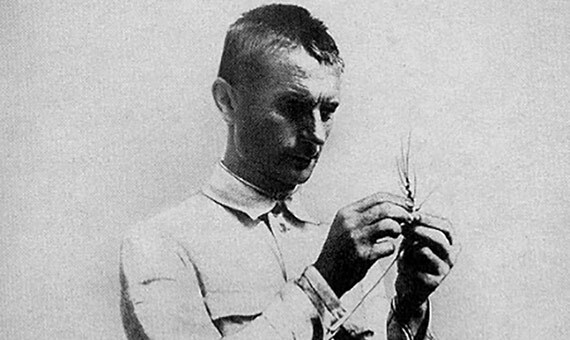 Although Lysenko was not the first to achieve this adaptation, his results reached a great resonance in the USSR, being praised by scientists of great prestige like the botanist and geneticist Nikolai Vavilov. However, it was in the 1930s that Lysenko began to turn away from science. Several experiments undertaken at that time led him to state that the conditioned seeds generated new generations of plants adapted to planting in spring without the need for treatment. In other words, vernalization, a trait acquired by environmental influence, could be transmitted to offspring. The concept collided with all that was known about Darwinian evolution and Mendelian inheritance. Lysenko found an easy solution—deny Darwin and Mendel. Lysenko’s ideas intersected with the old theory of French naturalist Jean-Baptiste Lamarck on the inheritance of acquired characters, although Lysenko endeavoured to assert that his theory was not Lamarckist. In fact, he found a more appropriate framework for his proposals: communism. In the face of Mendelian inheritance, determined by genes from before birth, Lysenko advocated a system where the environment could achieve anything. 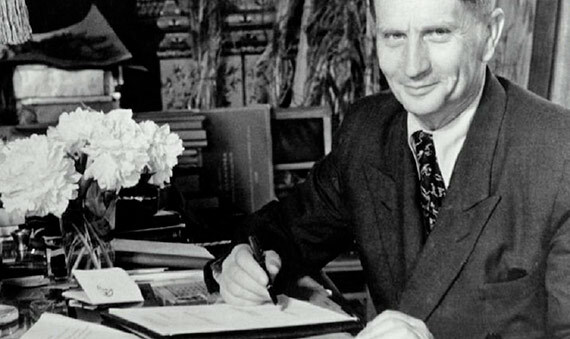 To counter Darwinian competition, he proposed that plants cooperated with each other. Although he never intended to apply his theories to the human being, his ideological positioning and the promise of bountiful harvests earned him the favours of the Soviet regime. As explained to OpenMInd by science writer Simon Ings, author of Stalin and the Scientists: A History of Triumph and Tragedy 1905-1953 (Faber & Faber, 2016), the Marxist philosopher Isaak Prezent, “Lysenko’s friend, champion and an eminence grise,” played a crucial role. “It was Prezent who created and promoted the body of theory we know as Lysenkoism,” Ings explains. Ings points out that Mendelian genetics was a foreign science, developed by a “politically undesirable” social class. “Lysenko was useful to Stalin and the leadership. He conformed to the Bolshevik ideal of a barefoot scientist, applying science to production without any intervening big words.” It was, summarizes the writer, a conflict between “the business of science and the business of production.” Thus, in 1948 Stalin adopted Lysenko’s ideas as the only official biology of the USSR, and any other theory was formally outlawed. Then the purge began. “In Stalin’s time, a scientist could not openly oppose Lysenko without being arrested,” says Graham. Ings adds that the scientific debate was an excuse to liquidate an old generation of politically unsound researchers. “A generation of geneticists lost their jobs, livelihood, homes, families.” Many were flung into the gulags, among them Vavilov, Lysenko’s former mentor turned dissident, who died of starvation in prison. Lysenko’s star was fading as his promises of plentiful harvests failed to materialize and his studies found no scientific support. When Graham met him in 1971, the former director of the Institute of Genetics at the Academy of Sciences had fallen into disgrace and public praise had been exchanged for fierce attacks. “I had learned the causes of his resentment, anger, and eagerness to have revenge against people who were formally superior to him,” recalls the historian.